A short transfer from Geneva and a traditional pretty village are often two sought-after points on a family holiday wish list and Les Gets more than ticks these boxes. The centre of the village is lined with shops and restaurants serving a selection of Savoyard specialities along with a couple of lively bars offering laid back après-ski. Residence Annapurna offers luxury self-catering apartments just 150m from the Mont Chery ski lift so really easy to access to the slopes with the children each morning. There is also a swimming pool and spa on site to relax in after your days on the mountain. If the children (and adults too) require some further tiring out in the evening, there is an outdoor skating rink in the centre of the village which is a big hit with families and adds to the overall charm of the resort. Alternatively, if you are needing a day off to rest your legs you can take a guided tour of the Cheese Dairy and learn how cheese is made in Alps. 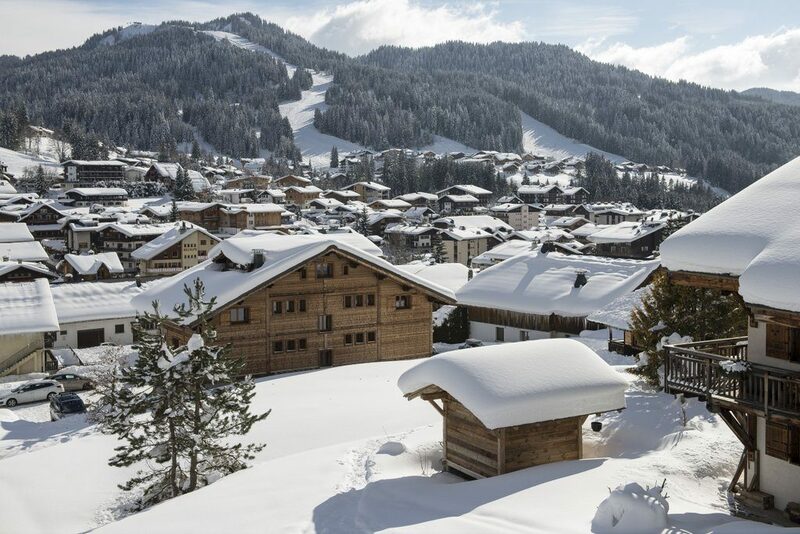 Oozing authentic Swiss charm, the resort of Villars is a perfect choice for families. If your little ones have never skied before, they will love the nursery slope just behind the train station in the centre of the village and, best of all, you don’t need a lift pass to access this slope. If your kids have already caught the ski bug, they’ll really enjoy the cog railway journey up to the Bretaye area where there are lots of cruisy blues for them to hone their skills. With access to over 100km of slopes, there’s also plenty of skiing to keep older children and parents happy too. The ESS (Swiss Ski School) in Villars is a very popular choice with our clients and we consistently receive great feedback about this school. Children can start lessons from the age of three and the school has two dedicated snow gardens providing a safe environment for children to learn in. You can choose from standalone ski lessons or lessons combined with lunch and activities in the school’s kindergarten. Or if you’d prefer to arrange one-to-one lessons for your children, we can arrange this as well. Our featured hotel in Villars, the Chalet Royalp Hotel & Spa, will make sure your little ones are well looked after and offer a free children’s programme during the school holidays with activities for younger children. The hotel also boasts a swimming pool, which supervised children from the age of two can access daily from 09:30 – 18:30. Activity nights at the Sundance Kids centre, movies, games and crafts (4.30pm – 8.30pm) for ages 3 – 12. Kamloops Blazers Ice Hockey Games throughout January and February. Package includes travel to and from Kamloops, as well as tickets. Skating, tubing, horse drawn sleigh rides and dog sledding are also available. I would recommend the Sun Peaks Grand as the resort is mainly pedestrianised and this property sits right above the ski school meeting point. 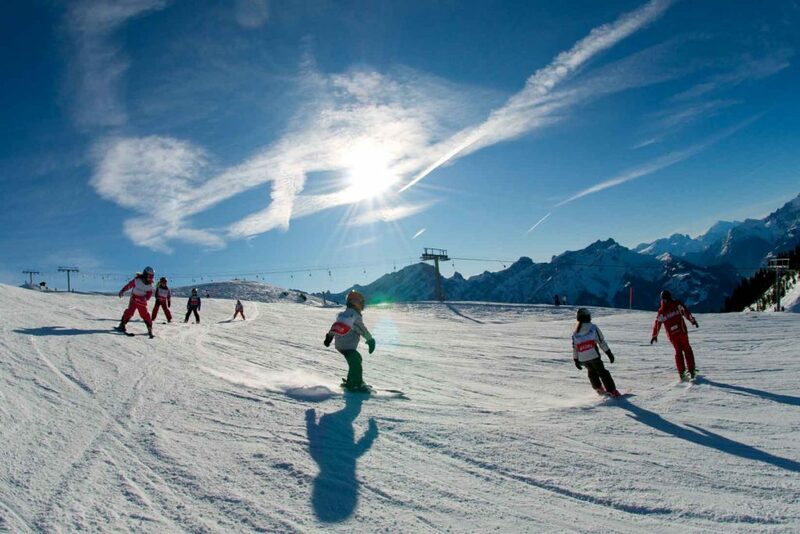 Tignes is a fantastic family friendly resort in the Tarentaise area of the French Alps. Its high altitude keeps the snow into the Easter holidays and it is a brilliant family ski area linked with Val d’Isère’s mountains too. With my family I’d stay in an a apartment at Residence Le Nevada, a lovely 4-star apartment with an excellent bakery delivery service in the mornings, a large indoor pool, a hot tub and a spa on site too. It’s in the Tignes Val Claret area which is my favourite and has a great selection of restaurants, my favourite of which is the Savoyard pizza restaurant, where a tartiflette pizza is a must! 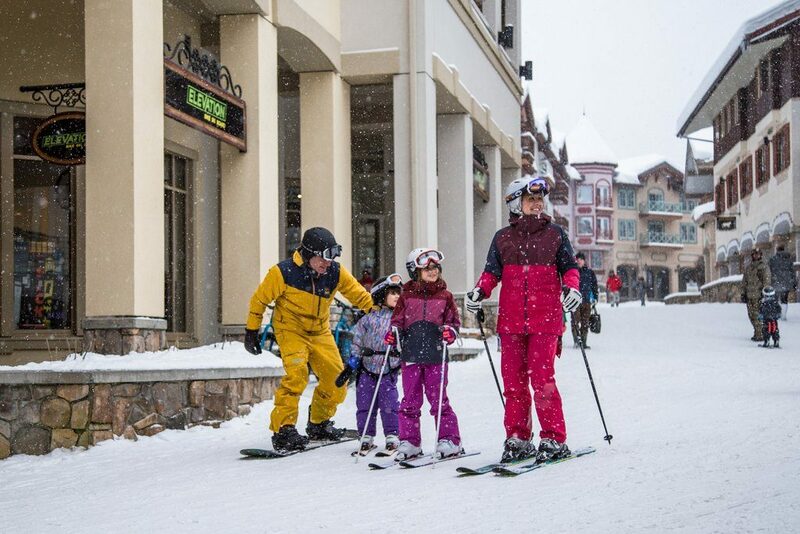 Jackson Hole might not be the first place that springs to mind for family skiing. Granted, it is more complicated to get to than other ski resorts (though it’s a really short transfer from the airport) and it has a reputation for steep and deep skiing, but beyond the preconceptions it’s actually a brilliant place to bring kids. 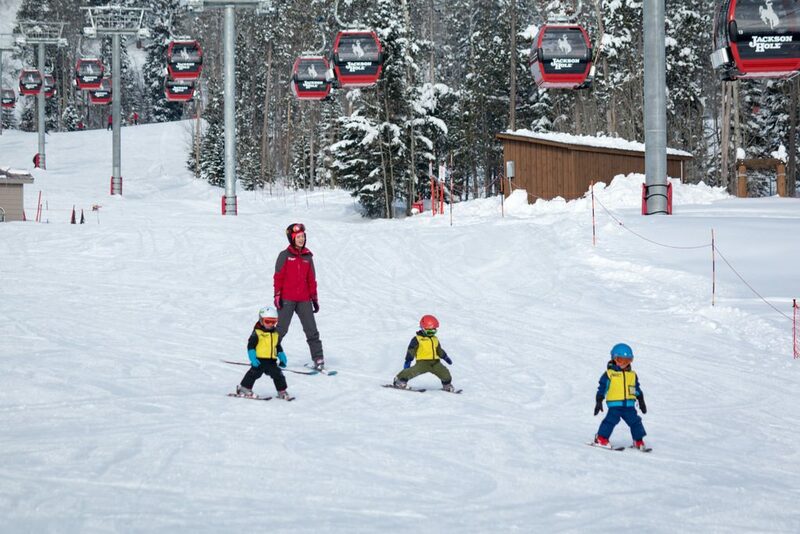 Jackson Hole Mountain Resort has its very own Kids Ranch which provides a base for ski lessons and activities, and the gentle slopes around there are quiet and ideal for children to find their ski legs. An even bigger bonus is that Jackson Hole offers free lift tickets for kids up to 14 years old. Off the slopes there’s snow-tubing, a mountain (cowboy) coaster and night-skiing at Snow King mountain (in Jackson Hole town), and there’s also wildlife galore: Yellowstone National Park isn’t far away, and day trips, or longer, can be arranged. Stay at Teton Village for slopeside convenience: the Teton Mountain Lodge offers a variety of rooms and suites to accommodate a family. Benefit from combining early booking offers to get a 10% discount and 2 free nights on a 10 night stay (book by 30 November 2018). Take a sleigh ride through the National Elk Refuge to see these wild animals at close quarters. It’s a really unique experience that all the family will enjoy. No one wants to haul ski equipment around, especially if it involves multiple pairs of skis belonging to your tribe, so for me the ideal family-friendly destinations are ski-in/ski-out with a high altitude ski area that ensures snow cover will be good at all times of the season. Cue Val Thorens. The resort is located at 2300m and all the properties are perched by the pistes, so as soon as the kids have mastered the art of the snowplough, they’ll be off! In terms of where to stay in resort, you can’t beat the Hotel Altapura – for me the hotel’s laid-back atmosphere makes it the ideal place to relax as a family. Offering a range of room types including interconnecting rooms and family suites to sleep up to six people, your requirements will be taken care of. The facilities are fantastic, and the indoor/outdoor pool in particular is perfect for tiring out the most energetic of kids, both old and young! Whether you want the freedom to enjoy the extensive half board buffet restaurant all together or you fancy a date night at Les Enfants Terribles à la carte restaurant while the children are entertained and supervised in the Kids’ Corner, all options are catered for. Older children will love the extra touches in the hotel – the old gondola cabin that now serves as a selfie-taking spot, complete with the facility to email the resulting picture to your friends. 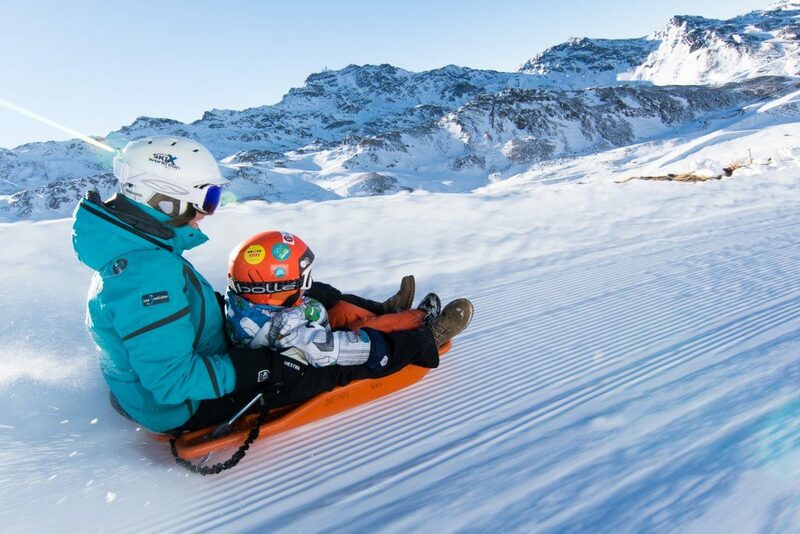 To complete the ultimate family ski trip, don’t miss the longest toboggan run in Europe. All children aged 5yrs and over can experience the thrills of this specially-made track, with those aged between 5-10yrs (and under 1.25m) free on an adult’s sled. Perfect for the adrenalin-seekers of the future! Val d’Isère is an internationally renowned high-altitude, snow-sure resort with one of the longest seasons in the Alps and it’s the perfect destination for a family ski holiday. 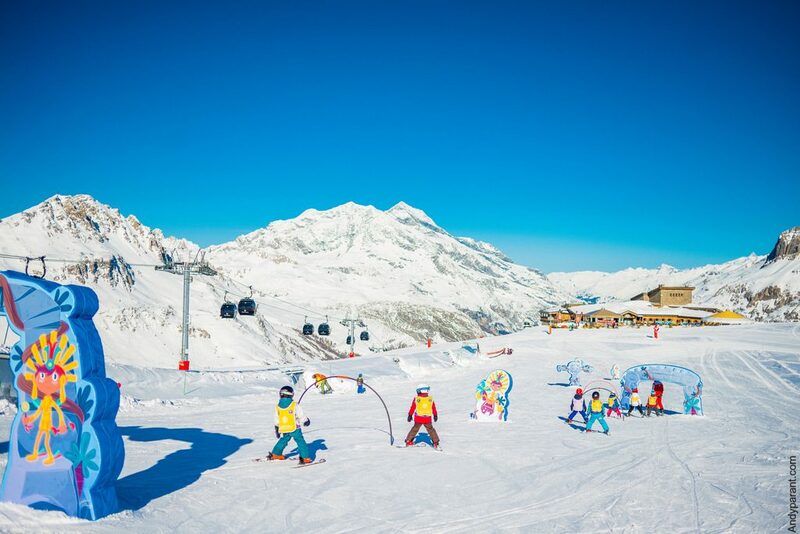 It’s very popular with British families and the Val d’Isère ski schools focus on British kids with smaller class sizes and lessons taught in English. At the top of the new Solaise gondola, they’ve created a superb beginners teaching area with covered magic carpet and access to gentle green and blue slopes but there’s also lots to challenge better skiers and the famous black run, La Face, is always a challenge braver kids are keen to conquer. 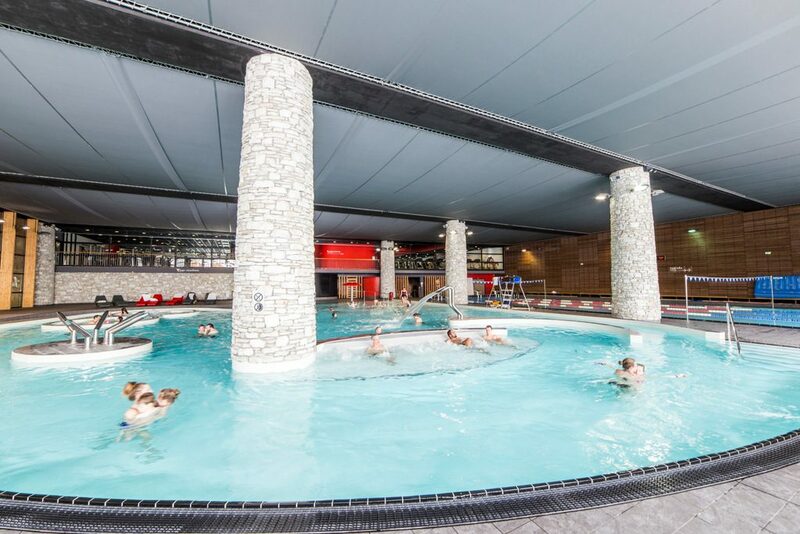 After skiing try the Aquasportif sports centre which has a huge pool with kids’ water features and a lazy river plus there’s a climbing wall and driving simulator. 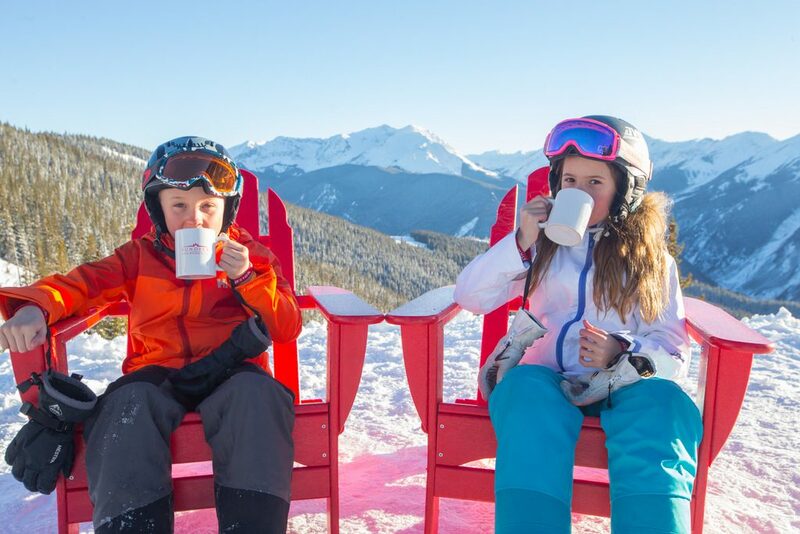 With four different and varied mountains to ski on, free children’s lift tickets when you rent equipment with Four Mountain Sports (including delivery of your kit to your mountain base of choice every morning), great childcare and excellent kids lessons, Aspen Snowmass is one of our top picks for families. Even better, you can fly into Aspen airport for an easy 10-20 minute transfer to your hotel or condo. 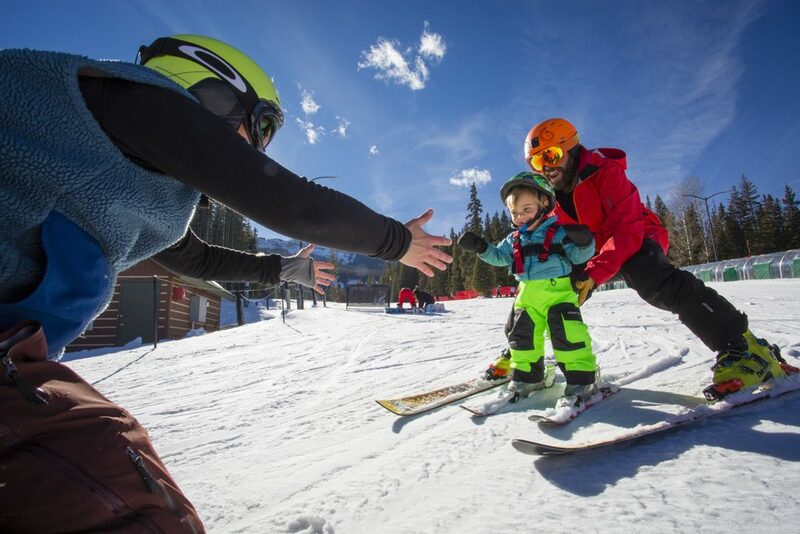 With a huge variety of terrain for every level including dedicated kids’ trails through the trees, Snowmass Mountain and Village are a brilliant choice for family skiers. An absolute must is the Treehouse Kids’ Adventure Center at the village base, where fun lessons outdoors mingle with hands-on play indoors. The brand NEW Limelight Hotel Snowmass opens at the beginning of Winter 2018/19 and is set to become one of the premier ski-in/ski-out properties in Snowmass village. The hotel will feature 99 rooms and 11 residences, all with kitchenette or full size kitchen, and among its many facilities will be two outdoor heated spa pools, a restaurant and bar, a kids game room and an ice-rink. A generous continental breakfast is included in all bookings, as well as complimentary WiFi and transfers from Aspen airport. 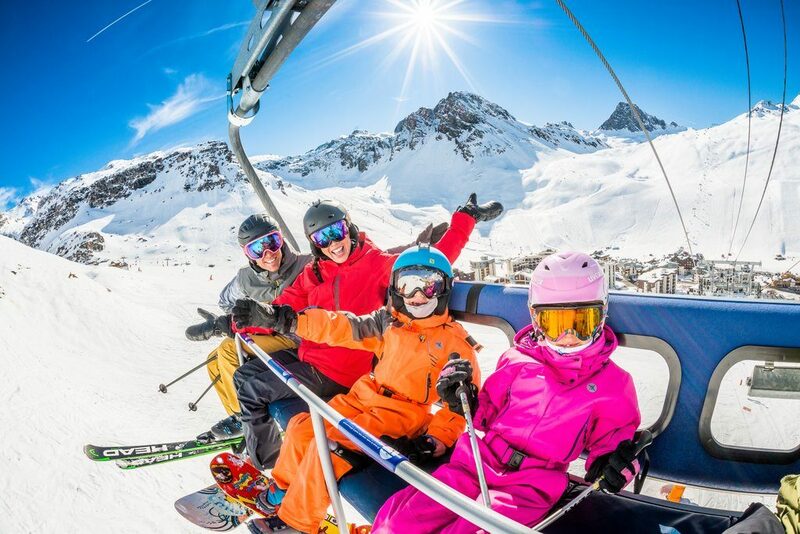 For more details on our pick of the best family ski holidays for 2018/19 and to arrange your next alpine adventure, contact our team of Ski Specialists.